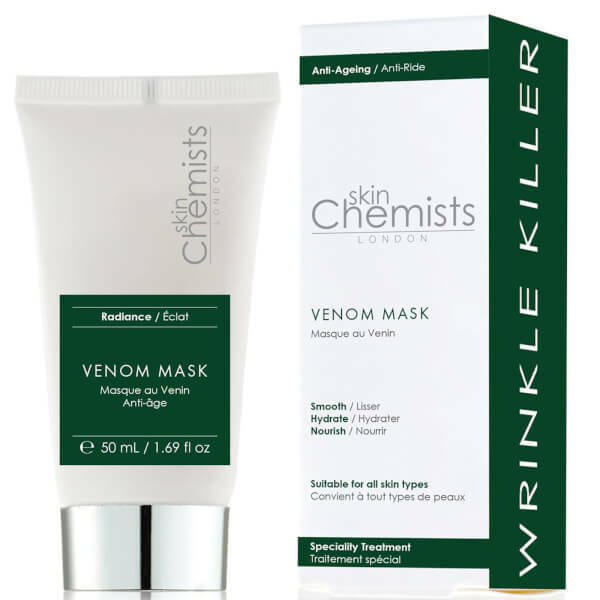 The skinChemists London Anti-Ageing Venom Mask is an overnight treatment mask that targets signs of ageing while you sleep to promote smoother, brighter-looking skin come morning. 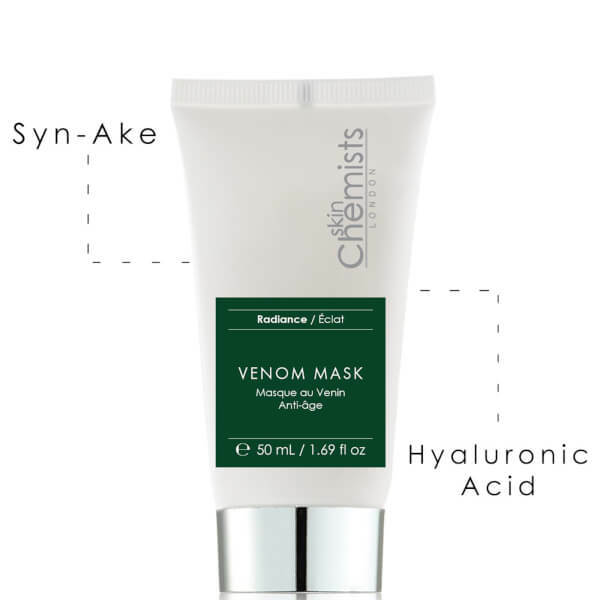 Infused with Syn-Ake, an award-winning ingredient that mimics the effects of a peptide found in temple viper venom, the face mask helps reduce the look of fine lines, wrinkles and pores whilst nourishing and hydrating. 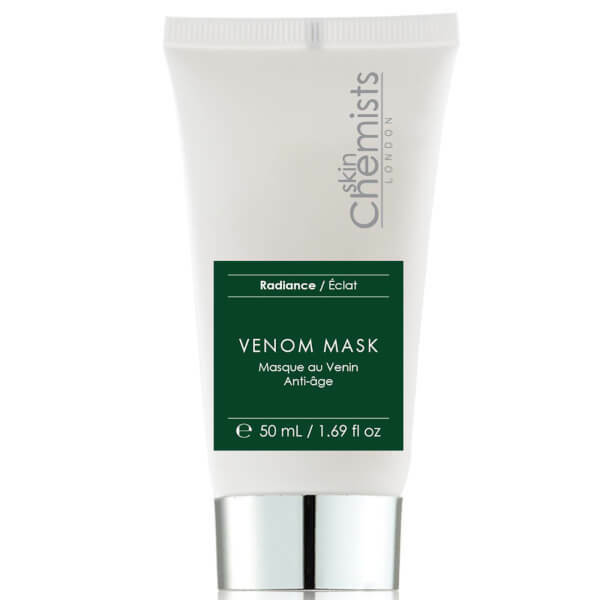 Rich in antioxidants and Hyaluronic Acid, the overnight mask will keep skin safe from external aggressors whilst plumping with moisture. Expect a smooth, radiant-looking complexion when you wake. 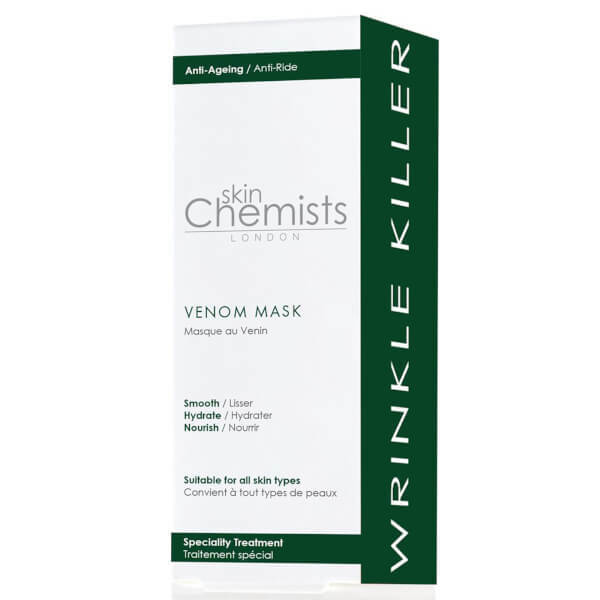 Use 2-3 times per week Apply a thin layer onto clean, dry skin in the evening. 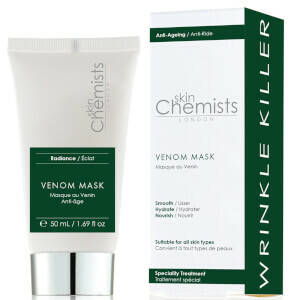 Allow the mask to sink into the skin and leave overnight. Cleanse as normal the following morning. Aqua, Cyclopentasiloxane, Propylene Glycol, Glycerin, Dimethiconol, Tapioca Starch Polymethylsilsequioxane, Sodium Polyacrylate, Phenoxyethanol, Ethylhexyl Stearate, Sodium Hydroxymethylglycinate, Polyquaternium-55, Trideceth-6, Disodium EDTA, Ethylhexylglycerin, Parfum, PVP, Sodium Hyaluronate, Dipeptide Diaminobutyroyl Benzylamide Diacetate, Biosaccharide Gum-4.